Native to southern Asia, turmeric is a relative of the ginger plant. It has been used for thousands of years in Ayurvedic medicine. Studies show that turmeric contains compounds that block the formation of amyloid proteins, the hallmark of Alzheimer’s disease, contains dozens of anti-inflammatory compounds, and has been shown in animal studies to be effective in treating certain cancers. Many of my patients with chronic pain experience relief with this simple concoction. Organic fresh ground turmeric is best. This recipe is from Nutrition Stripped. Enjoy! 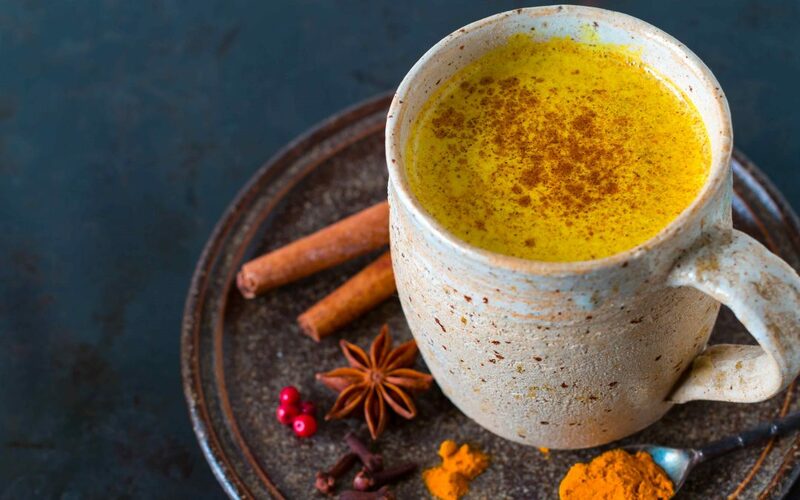 A creamy, savory yet sweet latte made with inflammation fighting turmeric, coconut milk, almond milk, and MCT oil.